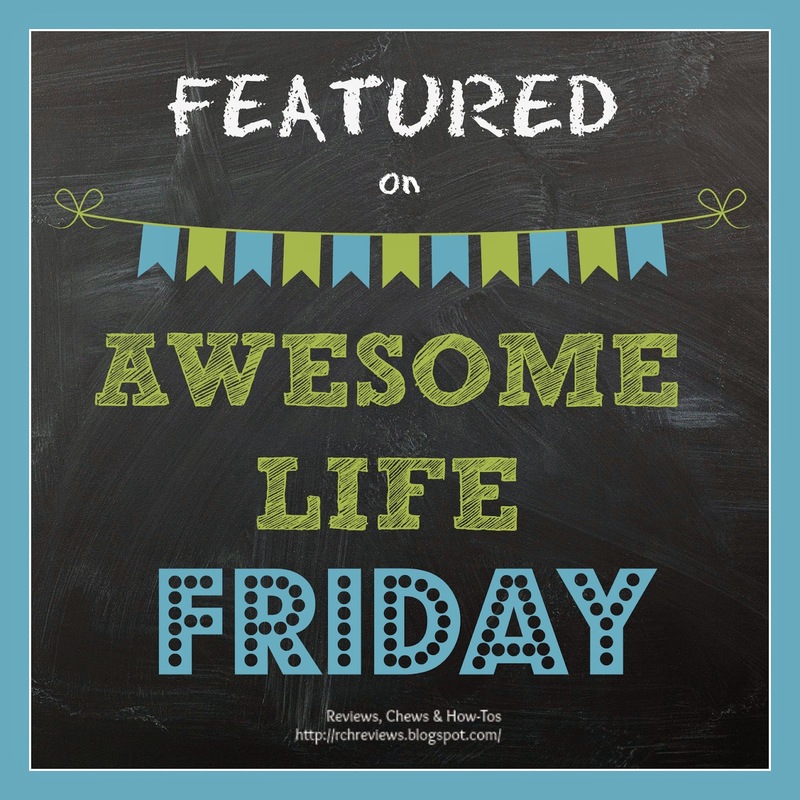 Welcome to this week's Awesome Life Friday! As we say goodbye to January, let's look back at how we've spent this past week. Jackie posted her second review of EcoAble cloth diapers - this time it's an All-in-One model, and there's a giveaway, too! 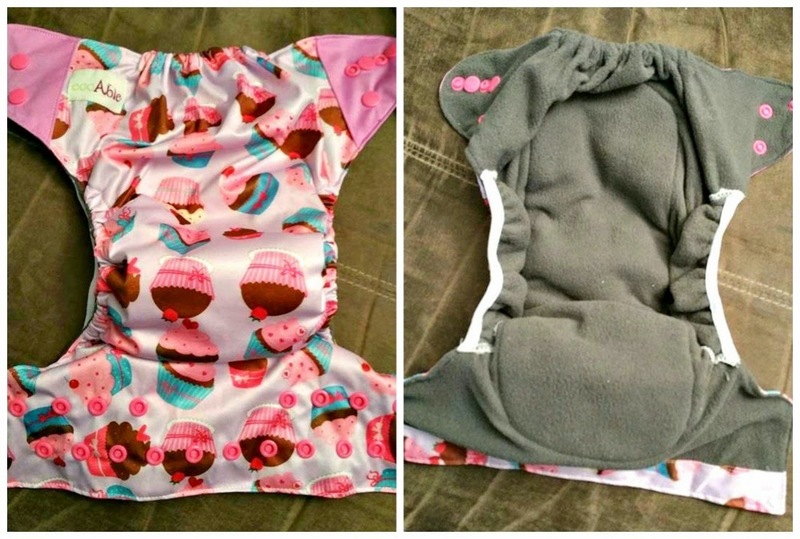 Meanwhile, Courtney shares her review of Caboosee Onesies, which have a cute snap up backflap that lets you quickly check the baby's diaper without the need to undress them or risk a nasty surprise by feel. Jackie also reveals her go-to potluck recipe - this hearty and delicious chili cooks up in a slow cooker, just right for busy days. Finally, Daniel and his dog Angel share thisTrue Drool Subscription Box review, which made a wonderful holiday appearance under their tree this year. 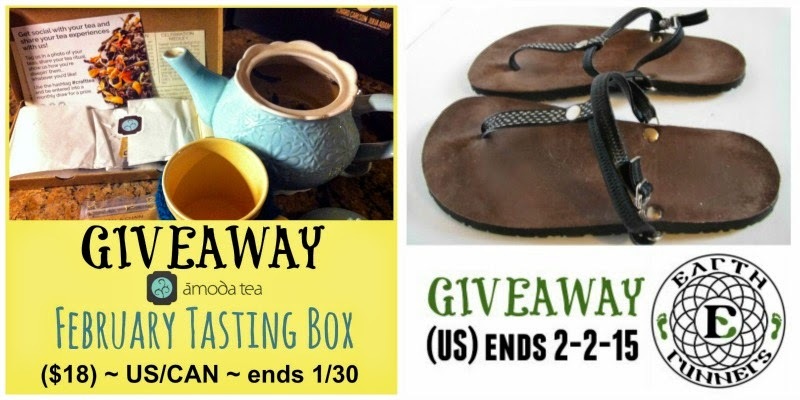 Don't forget that you've still got a little time to enter these two giveaways, too! You can find the links in our sidebar to the right. 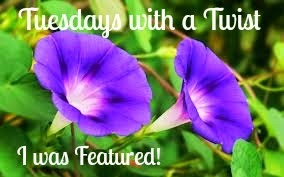 As ever, Lauren, Jackie and Lynda had a rousing discussion, selecting this week's Featured Posts. Sadly, there were several we really wanted to consider, but we couldn't find a link back anywhere on their page. 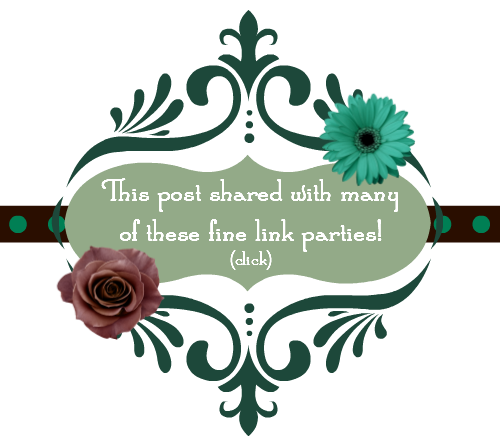 We check the post, look for a link party page, and in the side bar, but if we can't find it, sadly, we can't feature it. The good news is, there were still many more qualifying posts we fell in love with than we could feature! 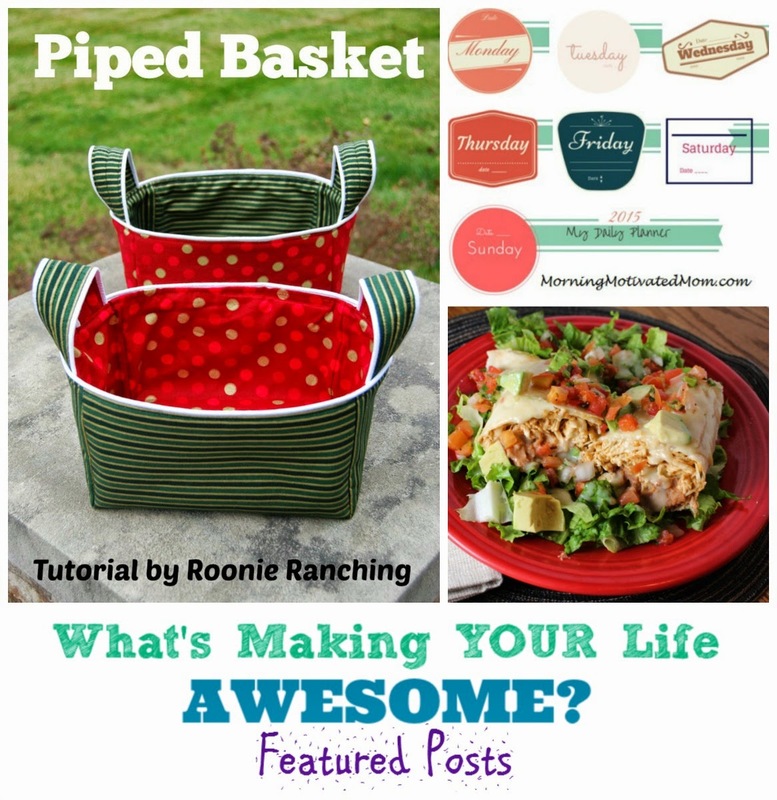 You'll find them all on our Awesome Life Friday Pinterest Board! 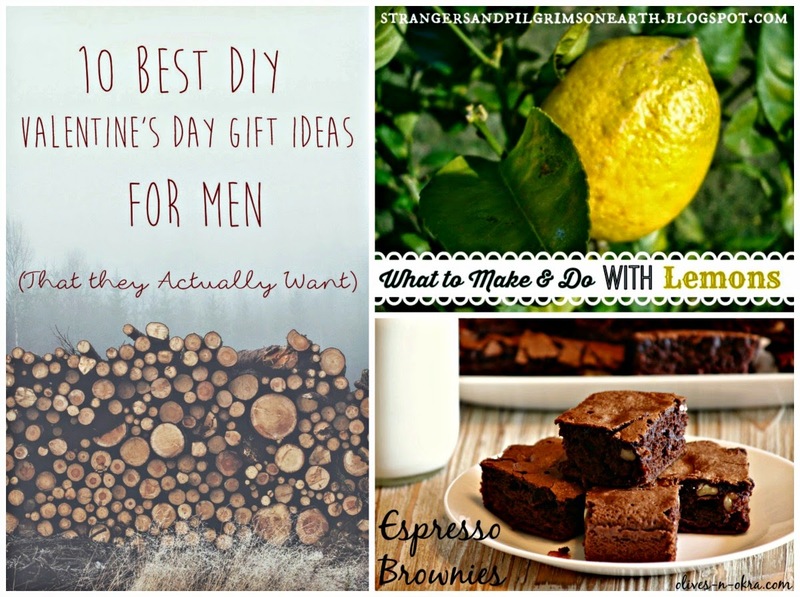 There are simple and more complex ideas here for DIY gifts for guys that they'll actually enjoy receiving. One of them is sure to inspire! Sunny citrus is one of the best things about the winter months, and this collection of ways to use it is just perfect! Chocolate and coffee come together to form the perfect dessert - yum! Congratulations, and thanks so much for sharing with us! When I was a child my family always spoiled our pets during the holidays. 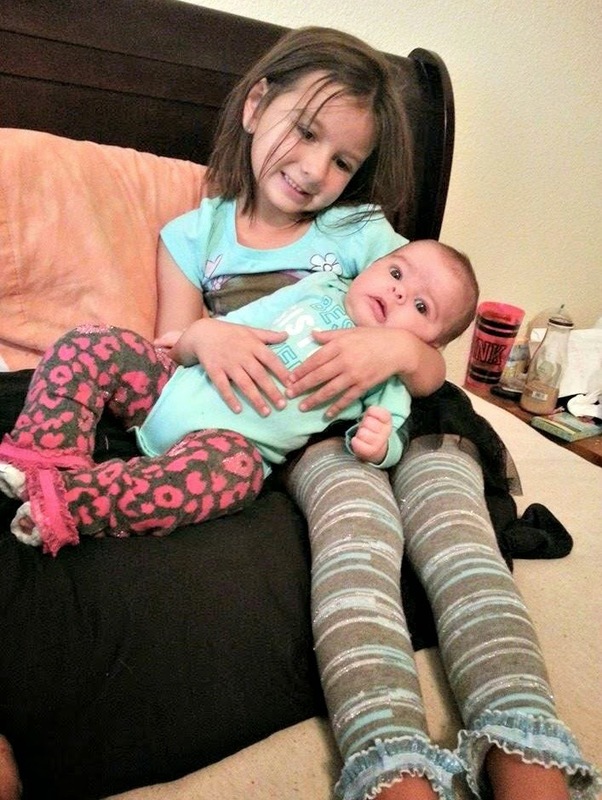 They were treated much like my sister and I were. 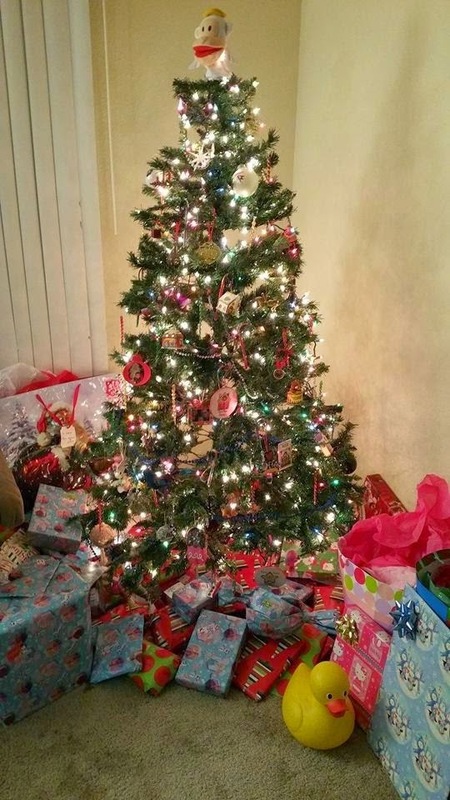 They always had wrapped gifts under the tree to open when Santa came. It became such a routine that our dogs learned how to open gifts and could sniff out their own under the tree. The first year we found that was true we had gone out for lunch and came home to find only 3 presents completely shredded open. All of which belonged to my dog, Dakota. He was sitting in a sea of shredded wrapping paper chewing on a bone. From that point forward we had to wait to put his gifts under the tree until late Christmas Eve, after he had already passed out from getting all the table scraps that were tossed to him under the dining table. My family now is very much the same. Though our dog, Angel, has not yet torn into any of her gifts, she insists on sleeping behind and under the tree. I have no clue how she has never toppled it over yet. But, just as my dogs growing up, she always has wrapped gifts under the tree. 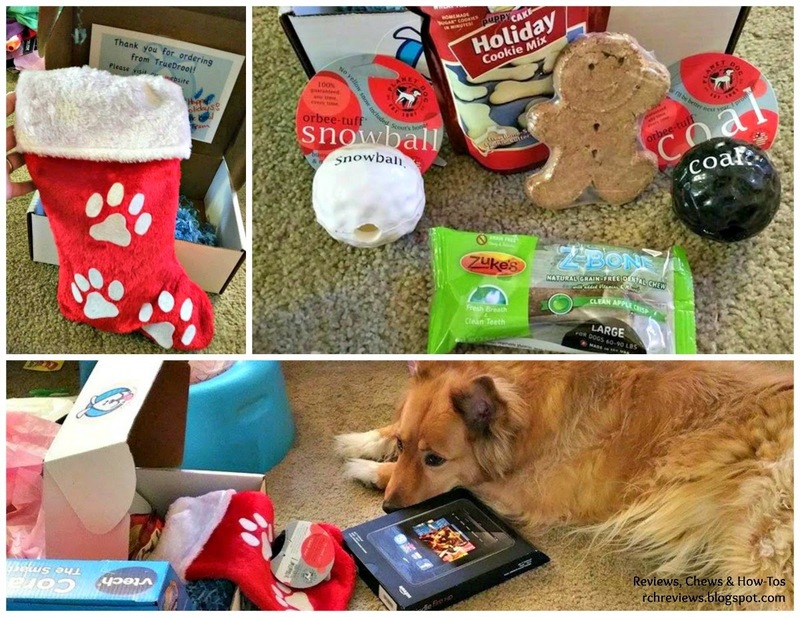 This year, I am happy to say, that she received the True Drool Holiday box as her gift, complete with her very own doggy stocking. When we opened it up to show her the contents she laid in front of the box and stocking just staring at it the entire morning. This isn't her first True Drool Box review, so she knew she was in for some good times. Once everyone was finished we took out one of the rubber balls (the one labeled snowball, we gave the coal to a friend's dog) and started to play with her. She always loves new toys. But they usually don't last very long. She is rather rough with toys and we find that most stuff we buy falls apart after just a few chomps. Not these balls! They are quite solid! I am happy to say that almost a month later and it is still whole! She was so happy to have her very own gingerbread man. She sat staring at me the entire time I tried to open it. Which actually ended up being quite a few minutes. The wrapper on this one was a bit frustrating. I do have to say that I was very impressed at just how much she enjoyed the Z-bone. 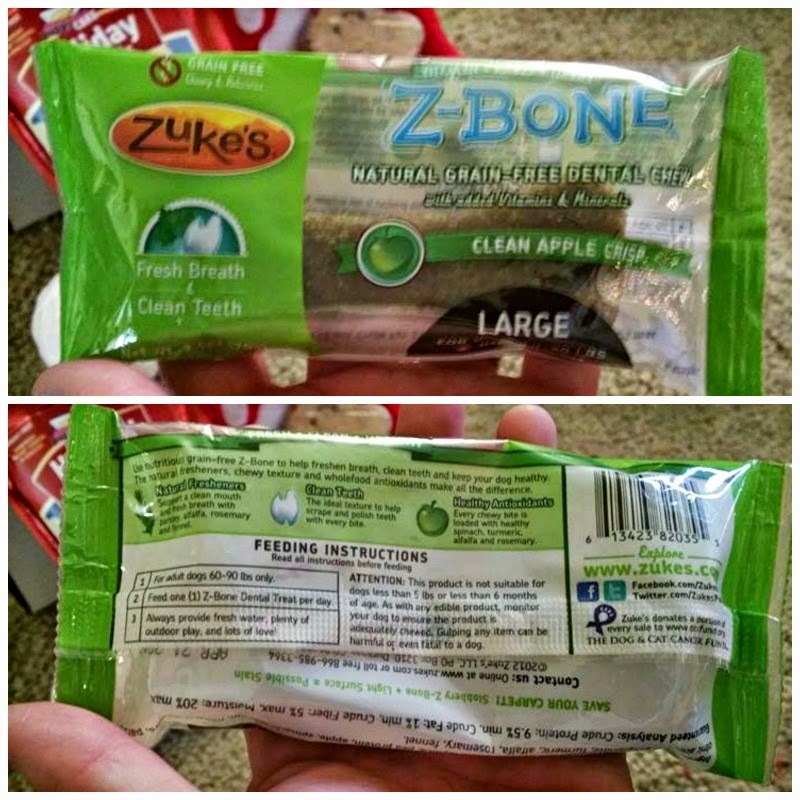 Zukes Z-bone is a natural, grain-free dental chew with added vitamins and minerals. For a treat that is touted as having so many health benefits, she absolutely loved it, so we can feel good about giving it to her. The last item in the stocking was the PuppyCake Holiday Cookie Mix. 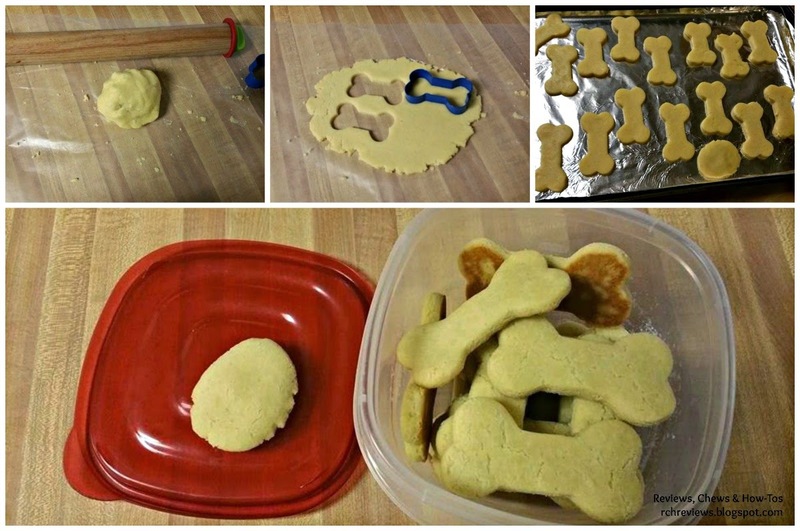 You may remember that our very own Lauren Murray did a review on the PuppyCakes Holiday Cookie Mix recently. I was given the opportunity to try out some more of their mixes. This was extremely easy to throw together and made from human-grade products. Now, as reluctant as I was, I did go ahead and taste it. We here at RCH want to be as thorough as possible in our reviews. If it says its edible we will eat it. I must say, it actually tastes oddly like a sugar cookie. Its a little on the dry side and has a very flat flavor, but it wasn't overly sweet. My 5-year-old even tried a bite and said they were very yummy. Even better, we got long lasting usability from the cookie cutter than came with it. We made salt dough ornaments with her name on them for our Christmas tree! 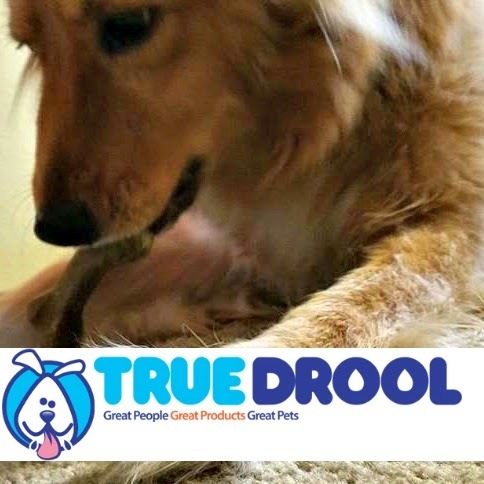 With all the goodies that come in the True Drool subscription box, the company even donates part of every sale toward a "welcome to your forever-home" kit that goes home with dogs being adopted from shelters. You can even purchase Paw-It-Forward boxes for $20 to donate to doggies that have recently been rescued. Their monthly box will run $35.95. For the same price you can purchase one-time Gift Box. The 3 month subscription runs 92.85 and also gives you free shipping. True Drool has been such a pleasure to work with. Their staff and the products they offer are top notch. You can really tell just how much thought and love they put into each one of their boxes. I’m ashamed to say that 5 years ago, I didn’t even know that there was a such thing as white chili. I knew there was spice level variants on tradition red bean and meat chili but that is about it. Now-a-days, it’s quite rare for me to make a pot of anything but! Back in Fairmont, WV, at our most favorite establishment ever to exist (Book ‘n Bean on Main street, which sadly has since closed! ), when fall was in full swing, everyone knew it meant the annual Chili Cook Off was just around the corner. So I remember that year, 5 years ago, when Lorie and Michael, the owners of the coffee shop, spent the day cooking a chicken rotisserie style over a bonfire and created something that seriously changed my life. 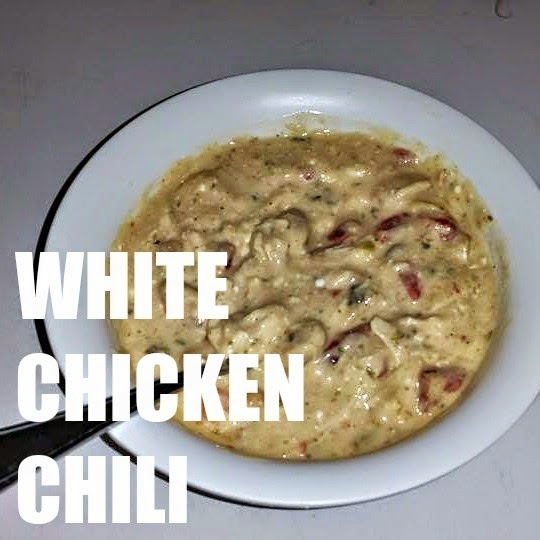 White Chicken Chili. Thankfully, she was all too happy to pass on the recipe. This is something that I have since, greedily, kept all to myself, bringing to potlucks and serving company whenever the opportunity arose. However, I have decided to lay it all out and share the wisdom so you can all have this mouthwatering dish as often as possible! 1 block of cream cheese, softened. Put the chicken in a pan with enough water to cover it about half way. Let it simmer, until it is cooked through, turning as needed. Most of the liquid will evaporate - just don't let the pan dry out. Once it cools down, shred the chicken up. You can shred with a fork, but about halfway through, I almost always end up just picking it apart with my fingers. It seems more efficient. I like to do this step before adding anything else to the crock pot, because I can visually see how much there is and gauge if it is enough. Once all the chicken is shredded, you can add everything except the cream cheese. Do not drain the beans, but DO drain the tomatoes (or it will turn it a pink color) Also, add about half a cream of can filled with water. Stir and Cover. Since you have cooked the chicken, you can set the temp depending on your time schedule. If you have many hours, set on low. If dinner is in within 2-3 hours, I’d set on high. The longer it sits, the better the taste. Once it's well heated, drop in the cream cheese and mix well. If you put it in before it is prepared to melt, you risk it not mixing and possibly curdling. At this point it is ready to eat, or can sit and simmer flavors together as long as you need. Best enjoyed with homemade beer bread!! 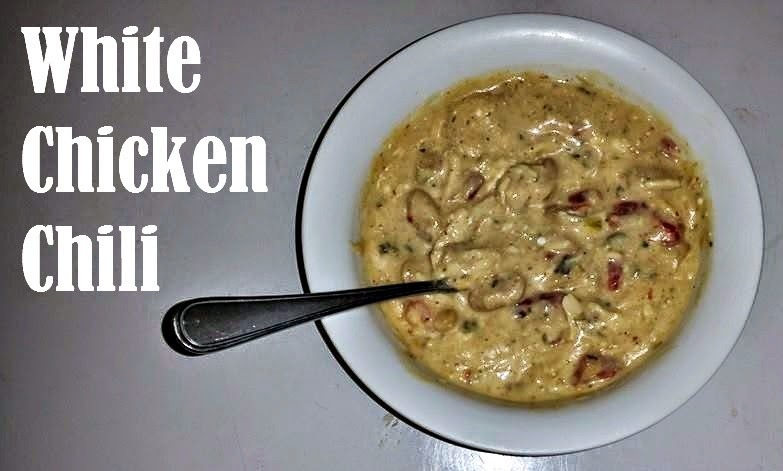 When shopping for ingredients I usually tell myself “cream of WHAT THE HECK ever.” I think one should always be chicken. My favorite was cream of onion, but I haven’t seen it in years, so I now do the celery. The cans could be any white beans. The best cream cheese is Philadelphia Cooking cream cheese - Santa Fe blend. My store stopped carrying it.. If you find it, send me a case!! It adds a nice spice, and can be added at the beginning with everything else. This was the first time using Rotel. My normal is one can of diced, no salt added tomatoes. But this worked out well and added an extra kick! Any parent has probably had that awkward moment of sniffing their baby’s bottom to check their diaper. 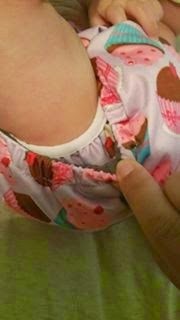 Or even worse, getting a surprise on their finger after pulling open the side of a diaper to check if it’s dirty. Caboosee is the solution for these situations! 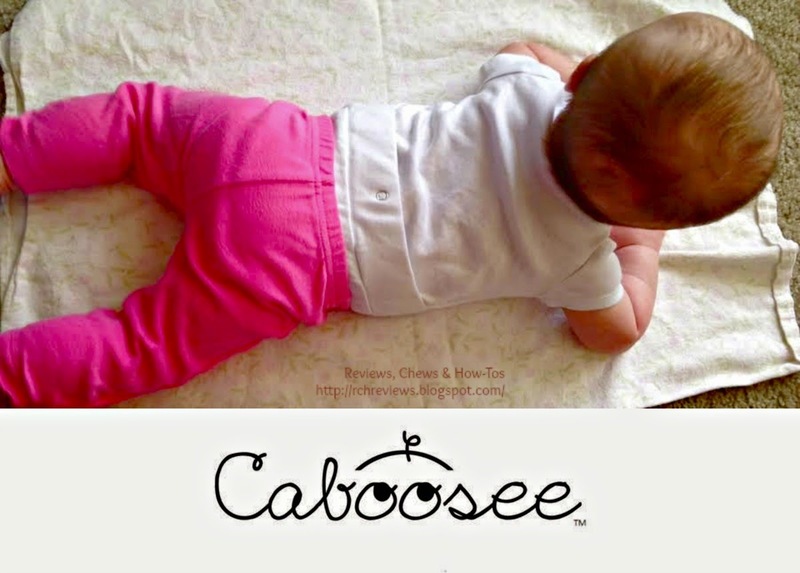 Caboosee is a patent pending onesie with a slit on the back with a snap that lets you check a baby’s diaper by looking down in the diaper from the top. Best of all you don’t have to undress your baby every time to see if they have a dirty diaper or just gas! Emily Blomberg created the Caboosee in 2011 after having 2 children and having to constantly undress them to check their diapers. She currently sells her products on her own website and Etsy. 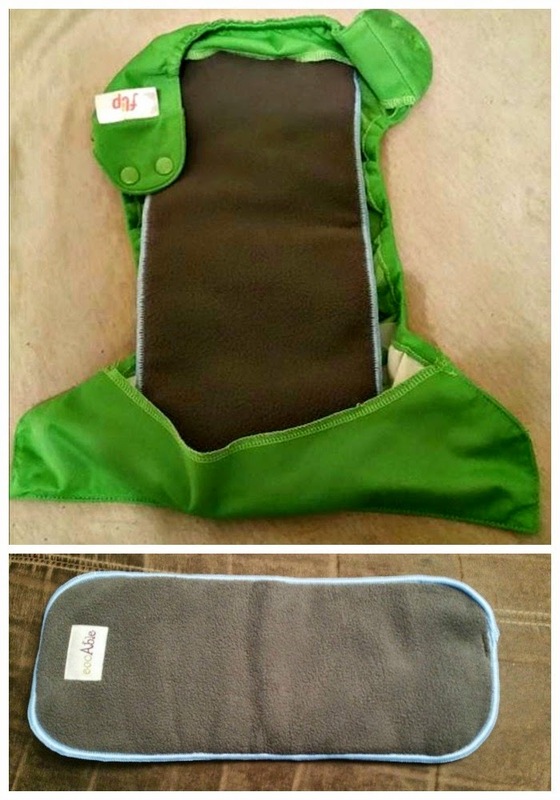 Caboosee’s come in two sizes: small (3-6 months) and large (6-12 months). One Caboosee onesie sells for $14 and she has several different designs to choose from on her website. However, on Etsy they sell for $13 and there are only 2 options available. It seems the Etsy shop has transitioned to mostly crocheted items. 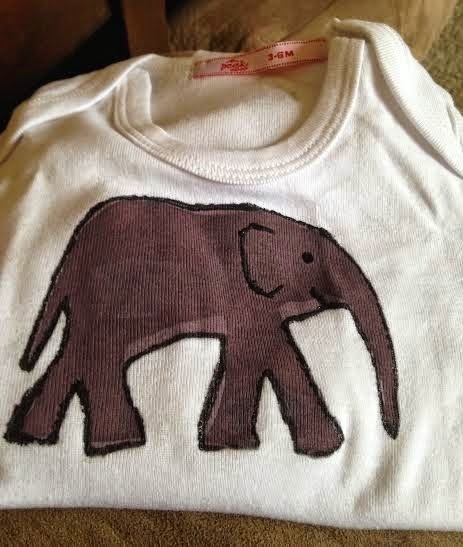 I looked through the designs offered and chose an elephant print. I waited eagerly for it to arrive! However, I was slightly disappointed with the package the product arrived in. I’m not sure if this how all products are shipped or if mine was since it was a “freebie” for a review, but the package was a mess. The envelope had been used several different times with previous addresses marked through with marker. That being said the Caboosee was in excellent condition. It’s an adorable and basic non busy design. I loved the look! I put my 4 month old, Hannah, in the onesie and waited for the moment I knew would come. The room started to get the unmistakable stinky smell. I looked over at her and she just grinned. I sat her up and looked in the peek panel on the back of the onesie and nothing! I’d just saved myself the trouble of wrestling pants off a very squirmy baby for just gas! A bit later, the stench was back and I checked the peek panel again. This time there was actually a dirty diaper. The onesie has held up well in the wash and there was no fading of the design. I would recommend the Caboosee to anyone with a baby in diapers. It will be a real time saver and allow you to quickly determine if your little one needs a new diaper! This would make a great baby shower gift for a new mom. 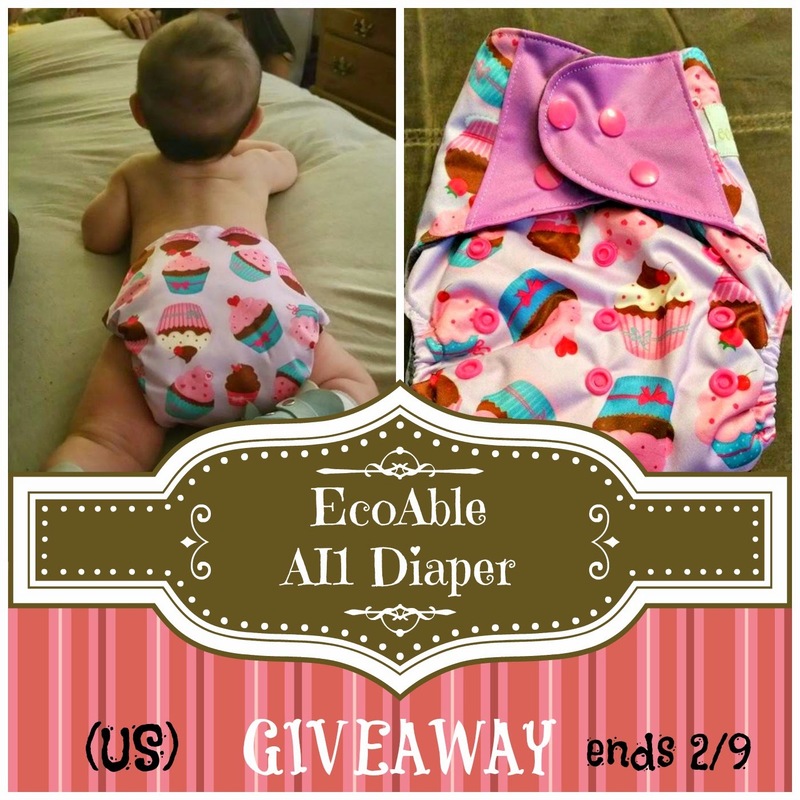 If you recall, about a month or so ago, I reviewed EcoAble’s All in Two style cloth diaper. I am still in love with that diaper, and reach for it quite often. And now, I’m so happy to bring y'all their All in One style! An All in One (AI1) is very similar to its disposable counterpart, in the sense that nothing else is needed. It has the absorbent padding sewn right into the diaper, so all you do is simply…put it on. Many AI1s, Ecoable’s included, also have a pocket style sleeve under that sewn in liners, for additional stuffing capabilities. This is really great for heavy wetters or overnight diapers. Just as before, I had so many incredible prints to choose from on her online store. The decision was quite the tough one, (I even consulted with 3 different people for their opinions). 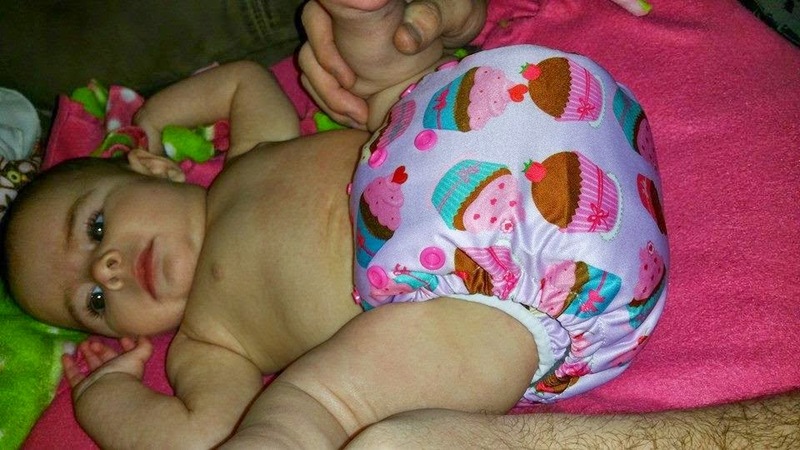 In the end, I went with a very girly Cupcake diaper. It took only three days to arrive. It was honestly the softest diaper I had ever felt! This was lined with super soft charcoal bamboo fleece. 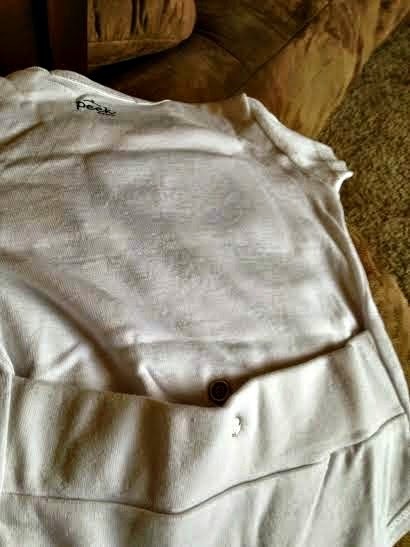 It was also a One Size diaper, so it had the same S/M/L snap downs to adjust the size for your growing baby. I also was sent a 5 layer charcoal bamboo liner, sold separately, to try as a night time diaper. It also had double gussets, which protect from leaks/blow outs. This was one of my favorite parts about this diaper! After a quick wash, I was so excited to use this diaper. It lived up to all expectations. It fit my 4 month old amazingly. Also, I mentioned in my first review that the snaps on the last EcoAble diaper were a little disappointing. They didn’t click together well, and seemed a little cheap. Not a single snap on this diaper felt that way! 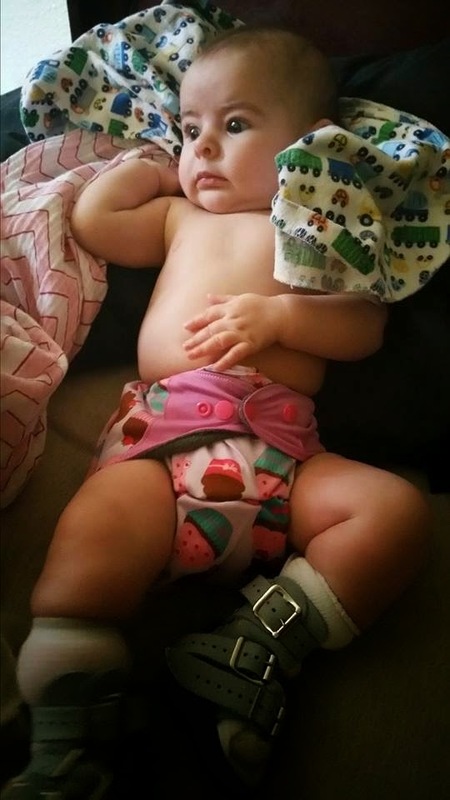 Penelope happily wore this diaper for many hours, and even then, after I know she had to have peed, it only felt just slightly dampened. I was very impressed with the absorbency! I was so excited to get this diaper through the wash to have back in cycle! As soon as it was, I wanted to try as a night time diaper. I stuffed it with the extra liner, put it on her… and laughed. It was so much padding! When overstuffing occurs in my other diapers, it no longer allows the elastic to even reach the leg. Surprisingly, that wasn’t the case here! Well, the outer elastic was pulled, but thanks to the double gussets, the inner gusset was still holding strong! I was pretty confident there would be no leaking, and more just worried about her comfort with all that padding. I am sure when she is bigger, this will work out better. So I decided to risk going without the extra padding and see if it could hold up to night time without the extras. Although she does wake once or twice a night, she kept this diaper on till just about sun rise due to its amazing absorbency. It was really incredible! Ecoable’s AI1 charcoal bamboo diapers retail for $12.95, which I think is an incredible steal for this kind of quality cloth diaper. This is most definitely my go-to diaper, the first I will grab day or night, and it is definitely missed when its not clean. Charcoal bamboo has become my favorite diaper/liner material thanks to EcoAble. Also, I have loved having the liner to use in other diapers. It fits perfectly inside my covers, and has incredible absorbancy as well. The liners are sold separately in packs of 3,4,6,8, and 12 packs ranging from $10.50 – $34.95. 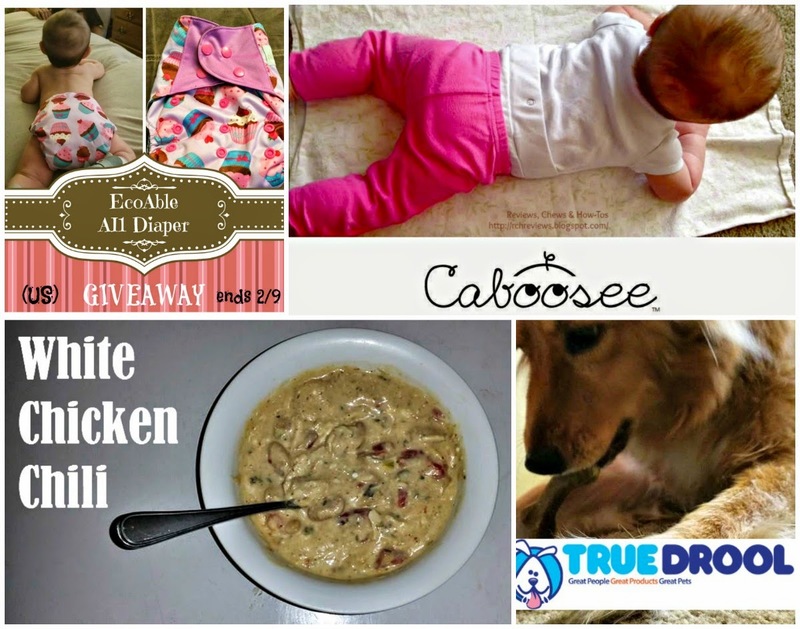 EcoAble is happily sponsoring another giveaway! The winner can choose any All-in-1 diaper ($12.95 value) in stock at EcoAble at the time of the end of the giveaway. This giveaway is open to U.S. residents only. and will end just before midnight ET on 2-9-15. 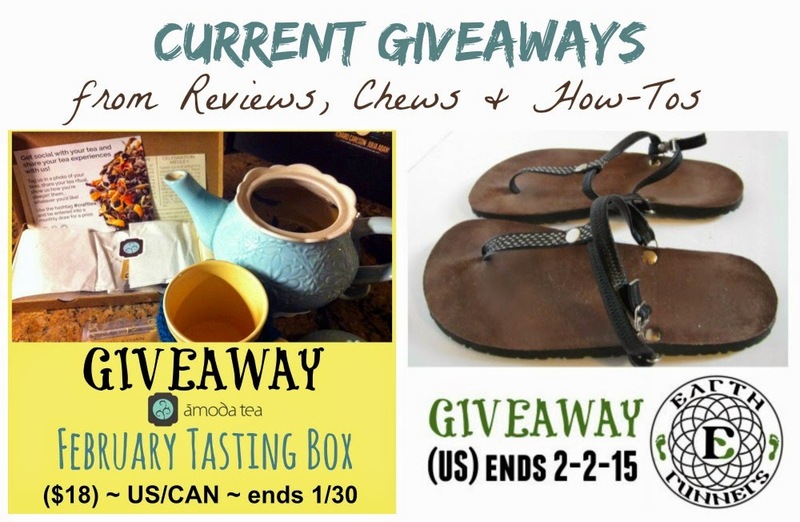 Read all about 'earthing' and enter to win a pair of conductive sandals! Lynda (and Sadie) share with us their monthly PetBox haul - December's box included a glorious bunch of treats, toys and accessories to check out. 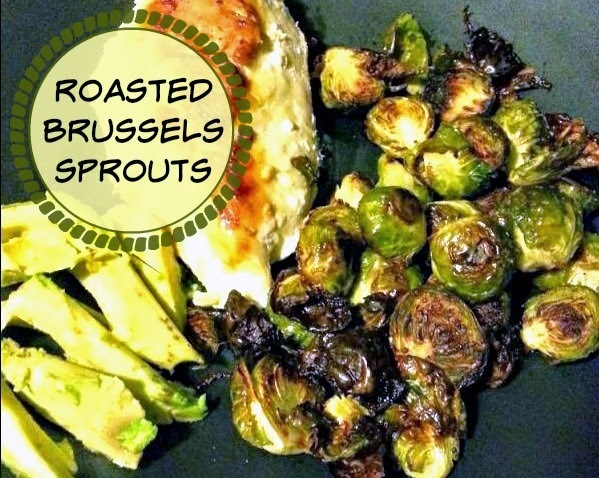 Jennifer's committed to healthy eating and lots of activity - and her roasted brussels sprouts are part of how she keeps her healthy lifestyle delicious! 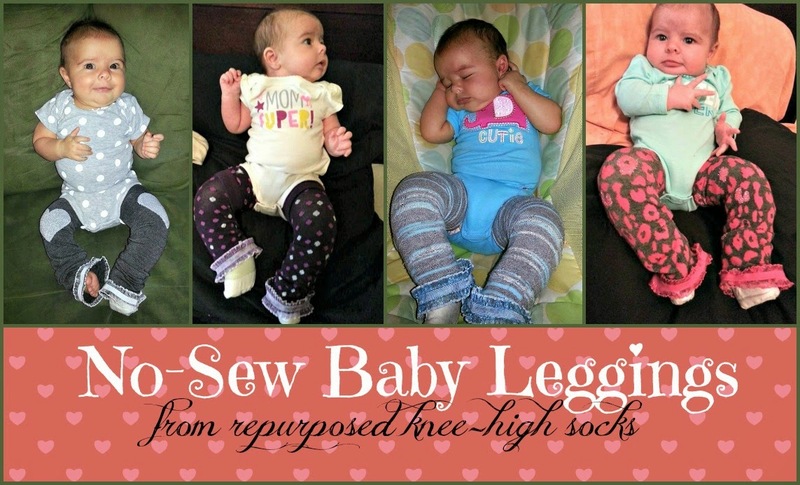 Finally, Jackie shows us how to use repurposed knee-high socks to make adorable no-sew baby and toddler leggings. Isn't this basket beautiful? Lauren, our resident seamstress, was thoroughly impressed with the quality of the basket and the tutorial, and had an epiphany about how to use piping from this. Excellent! This great organization post with an attractive and useful weekly planner printout appealed to Jackie, as she keeps working through a large decluttering project. This over the top combination of an enchilada, burrito and chimichanga made Lynda instantly hungry. She can't say it, but 'enchiwhatwasitagain?' has earned a spot on the menu! Congratulations to each of our Featured blogs and thank you so much for sharing with us! If you like, grab yourself a button! 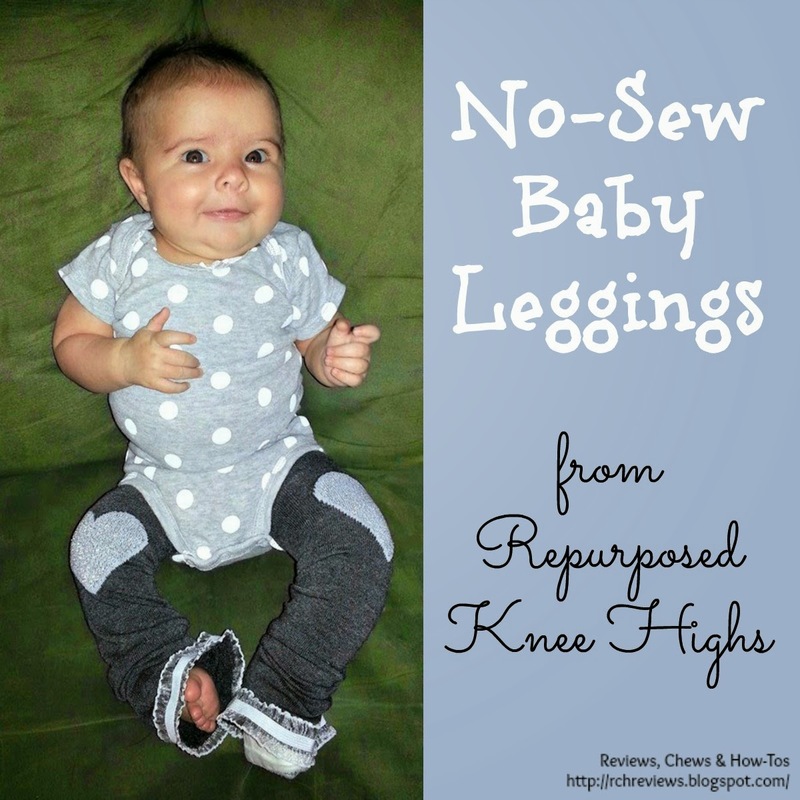 As soon as I settled on the fact that I was doing cloth diapers, I subsequently knew leggings would be a big part of our lives as well! Why? Well, look, if I’m going going to pay $15 for something for my kid to poop in, I’ll be damned if I’m covering it with pants. Furthermore, with the challenge of my child’s Clubfoot Treatment, leggings became an even bigger MUST! However, those suckers can definitely add up the pennies. I managed to get a decent handful from a co-op but otherwise they are pretty pricy brand-new. I’ve seen many tutorials for making your own, but they all require a skill I don’t possess - sewing! I knew I would be able to figure out another way, and now I’m happy to share that way here. I used to be a badass derby girl (ok lets be real - I played for barely 4 months..). Between that and my fashionably questionable adolescence, I had an abundance of knee highs in every color and pattern. 1. Cut the heel off of an adult’s knee high sock. Some patterns (like stripes) make this easier to ensure it's straight across. 2. 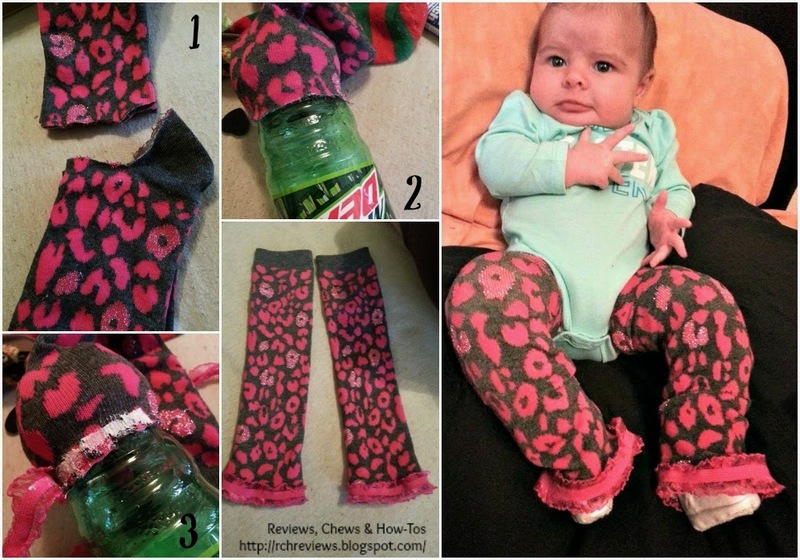 Pull sock onto the skinnier part of the bottle. Make sure you are not over stretching the sock. 3. Apply liquid stitch to the edge of the sock. Cut the correct length of trim and apply to the sock with the liquid stitch. Hold tightly in place for 30 seconds. Allow 24hrs to set before washing. I’ll be honest, there are also many times that in a hurry, I cut the socks and didn’t add trim. I just placed the jagged edge to the top of her leg and you can’t even notice! Note: So it took me a few tries to get the technique right. I was confused by the logic of the elastic and how to ensure it still had stretch to it when I applied the trim. At first I was pulling the sock over the middle part of the soda bottle, which was leaving no give to the elastic when I removed it. Eventually I realized that pulling it to the small part of a bottle worked (a mountain dew bottle is best!). It held it on tight, but allowed the elastic to go on relaxed.